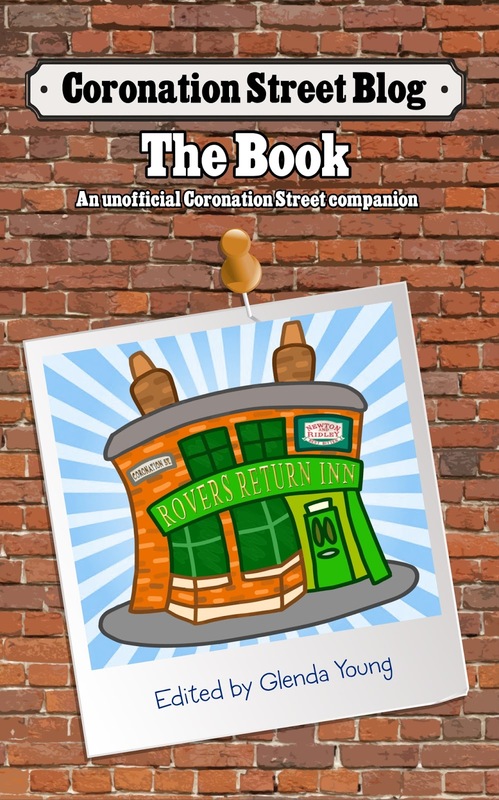 This week’s Corrie presented us with an opportunity to say a fitting farewell to the lovely Luke Britton, and to ensure he got the send off he richly deserved for being, well, rather lovely. And of course, murdered in his prime. You would think the only thing that could spoil it would be Pat, the man who killed him, turning up at his funeral to mingle among the unsuspecting mourners. Yes, this happened; ooh that Phelan has some nerve! But he had competition in the form of Luke's girlfriend, Alya Nazir. Grief is a very personal thing. Everyone deals with it differently, and in their own way. It's not our place to judge, and the best we can do is to be there for those suffering. 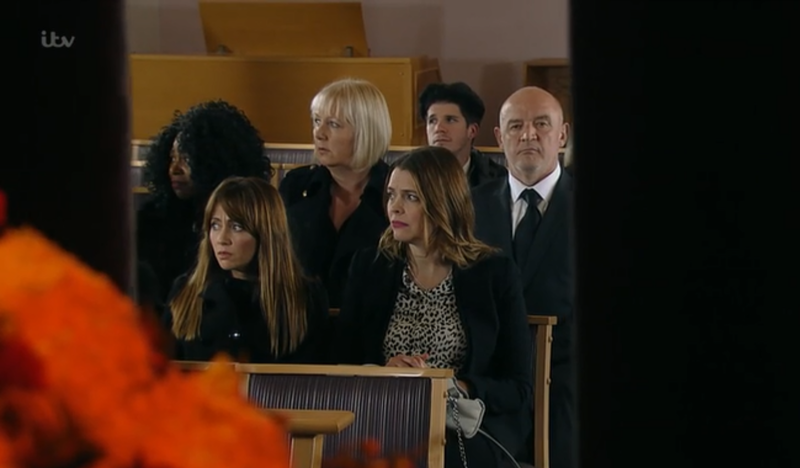 But, as this is Coronation Street, and not real life, I ask, was I alone in finding myself frustrated that Alya seemingly went out of her way to make Luke's funeral all about her? First, though, there was Monday, and by the second episode she was watching cars going around on the television and crying into her duvet, lamenting the fact that “it always ends like this” before needlessly falling out with the caring, prodigal Kate. Just how many boyfriends of Alya's have been run off the road and murdered before going up in flames? The only thing I could deduce was that she was talking about herself losing a loved one, and in truth, she's had her fair share of that. Wednesday inevitably came around, and it's the day of the funeral. Despite the love and support of Yasmeen, Alya barely looks back at her grandmother, left hovering awkwardly in the aisle as she takes her place in the front row, albeit at Steph's insistence. Without so much as a glance at Luke’s parents, paying any condolences, or thinking it might be more appropriate for her to at least shuffle down the row a bit, she takes the place of chief mourner. Back to the Alya show where, now outside, she’s being comforted by her family as she cries “it’s my fault that they killed Luke, it’s my fault that he’s dead”. Yes, she continues to labour under the misapprehension that the racist knicker dealers are responsible for his death. Fair enough I suppose, in the absence of any other obvious candidates. But then she blubs, “I’m not going to the wake. I can’t face it with everyone there” when, in fact, that’s precisely what she should have done. Sometimes the hard thing to do is the right thing. But no, she swerves it for the Bistro where she's surrounded by about as many people as were likely to be at the real one. When Steph, who was more than understanding in the circumstances, came in and remarked that she didn’t know there was another wake afoot, Alya said, “I’m sorry, that’s my fault. I couldn’t face it. Did your parents think I was rude?” So even Luke's parents are meant to focus on her today, a girlfriend they’ve never met and who never bothered to introduce herself to them, express her condolences, or show up at the actual wake? A likely presumption. Alya's last act of the day is to disappear and text Zeedan to say she couldn’t have gotten through it without them all. Oh I was annoyed, though there was no doubting that Sair Khan did a great job. What I've noticed about Phelan's character is that he's not just killing now to cover up or get rid of something, he's doing it for the thrill in that he can remove anyone he wants from the world and get away with it. He's done it three times (four, if you count Michael as well). Of course he'd show up at Luke's funeral. I do think that, for the writers to show him as a *complete* monster and not just another Richard Hillman, he needs to kill someone on the Street that's a beloved character. I don't find Alya's reaction over the top--after all it must be extremely unnerving to have your boyfriend murdered so violently, especially if you think you're partially responsible. Her behaviour only seems odd and out of place because Alya is suddenly being given more screen time to mourn Luke than she's had for all of last year. And more than she was given to grieve for her dad or for her break-up with Gary (supposed love of her life). Every other scene she is there, wallowing in her grief and being comforted by her grandmother. It's like both of the actresses' agents demanded a bit more screen time, so they randomly plopped all this in, never mind how uneven it feels! Steph "No, my parents didn't think you were rude. They didn't know you existed until today. Apparently Luke never told them about you"
There, that's Alya's reality check. I agree about the lack of parent interaction. Steph's eulogy was lovely and even Kate's was nice. Would have been nice to hear one from Tyrone or Kevin but screen time is of the essence and it wouldn't have added any to the plot like Kate's pointed looks in Rana's direction did. I thought the way they handled Luke parents was rather strange the whole way around. Why even have them there if you aren't going to show a normal interaction with them from anyone? I get the impression that the writers were trying to put emphasis on Alya's bad fortune in having lost both her parents and now Luke, but they went about it in the wrong way. Emma, your blog made me realise something. Leaving Phelan's storyline aside because the character is meant to irk you, I'm not particularly pleased to see many of the characters. They're like family who turn up on your doorstep unannounced. You sigh, let them in and don't pay much attention as they rattle on. You keep giving them time in the hope that, at some point, their visits will be fun. Since Luke was Tyrone's lodger for a while and was loved by his two girls[was Fiz at the funeral? ]I think I would have preferred to see Tyrpne give a reading rather than Kate. It's as though a member of the Connor family like the Platts have to be in every episode and I didn't like Kate always looking at Rana. Thank you so much, Arya. I'm very grateful for your lovely message. Thank you for all the comments. It's great to hear your ideas and perspectives. If this is Heaven, Corrie... then what is Hell? Forget Pat Phelan - here's Mat Phelan! What's your favourite Corrie episode of all time? Who should Pat Phelan kill off next? Where have you seen Corrie's Mona Beattie before? Happiest Couples in Coronation Street? Suranne Jones returning to Coronation Street?